The San Antonio Behavioral Healthcare Hospital is a rehabilitation center that offers inpatient psychiatric care, substance abuse outpatient program and detox services to whom they are needed. With these programs, the San Antonio Behavioral Healthcare Hospital is bound to produce great results for its patients and offer them great relief from their health problems. In the San Antonio Behavioral Healthcare Hospital there is a place for everyone – from children to adolescents and adults of any age. Of course, there are specially designed programs for each age group that fits the needs and focuses on the problems that a child, an adolescent and an adult have due to various different reasons – from psychiatric problems to substance abuse. What is so great in the San Antonio Behavioral Healthcare Hospital is the fact that the medical personnel at this healthcare center pays attention and treats the co-existing psychiatric issues that most patients with substance abuse problems have. And in order to do that, only highly experienced personnel is to be found in the San Antonio Behavioral Healthcare Hospital. In order to achieve the best results, for each patient, an individual treatment plan is created. The individual treatments take place three times a week and in the meantime, there are group therapies every day. The staff at the San Antonio Behavioral Healthcare Hospital also focuses on preventing any relapse among the substance abuse patients and aims at improving the coping skills of all patients. Family counseling is a big deal in the San Antonio Behavioral Healthcare Hospital as the staff focuses on including the patient’s family as a part of the treatment plan as much as possible. San Antonio, Texas is a great location for a healthcare hospital such as San Antonio Behavioral Healthcare Hospital. 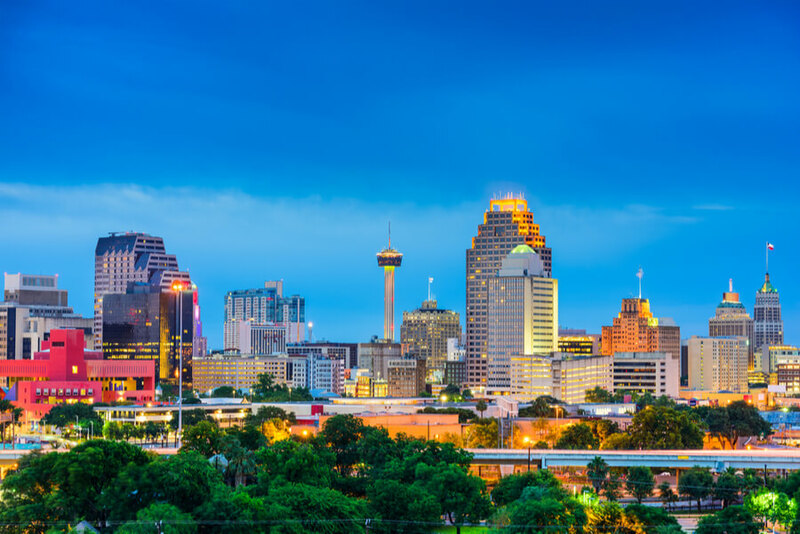 The sunny San Antonio is the perfect location that offers a unique opportunity to the patients to enjoy the great weather that sunny Texas has to offer. The San Antonio Behavioral Healthcare Hospital is a 108-bed facility currently divided into two separate wings depending on the age of the patients. So there are the adolescent and the adult wing where patients with substance abuse problems are to be treated. Also, there is a whole separate psychiatric wing where patients with psychiatric problems are taken care of. The San Antonio Behavioral Healthcare Hospital has its own cafeteria where healthy meals are prepared. Any special request about the diet of the patients is welcomed and taken care of as well. One strict rule of the halls of the San Antonio Behavioral Healthcare Hospital is the one that does not allow any electronic devices of any kind to be used by the patients during their stay at the San Antonio Behavioral Healthcare Hospital. The inpatient program, or the residential treatment as it is also called, is the most popular treatment option for substance abuse patients. The patients who choose the inpatient program are required to sleep, eat and live in the rooms and halls of the San Antonio Behavioral Healthcare Hospital as long as they are receiving their treatment. The treatment plan at the San Antonio Behavioral Healthcare Hospital takes 30 days, although, for patients who are in need, the treatment plan can be scheduled to last longer. Dual diagnosis treatment is required by patients who are suffering from a psychiatric problem and substance abuse at the same time. For this purpose, there is a separate psychiatric wing as we have mentioned before that is used by patients who are suffering from a psychiatric problem, but from a co-existing substance abuse at the same time as well. The detox plan is the first step that every patient at the San Antonio Behavioral Healthcare Hospital goes through. The aim is to wash off any waste material and toxins from the patient’s body in order to prepare him/her for the treatment plan that follows. Unfortunately, no information about the payment options in San Antonio Behavioral Healthcare Hospital could be found online. For more information, please use the phone number provided as a part of this review to contact the personnel at the San Antonio Behavioral Healthcare Hospital. Unfortunately, the official website of the San Antonio Behavioral Healthcare Hospital does not offer any information about the licenses that its staff and the whole facility has in order to offer its help as it does. We encourage our patients to contact the official staff and find out more about this topic. Apart from the 24/7 care that inpatients get at the San Antonio Behavioral Healthcare Hospital, there are other amenities as well! As a part of the inpatient program, there are weekly visits from the friendly therapy dog – a specially trained dog to suit the needs of the rehabilitation programs. Art therapy is also a great hit in the San Antonio Behavioral Healthcare Hospital as it serves as a great way to help distract the patients from their problems, help them to recover quickly and painlessly, all of that while they are enjoying their time spent at the San Antonio Behavioral Healthcare Hospital. The San Antonio Behavioral Healthcare Hospital, located in San Antonio, Texas, is a great treatment facility that offers its help to psychiatric patients and patients with substance abuse of all ages. The treatment plans at the San Antonio Behavioral Healthcare Hospital cover most of the common psychiatric problems and substance abuse problems in order to help the patients get back on the right track and stay away from any possible relapse in the future. As a part of the official staff at the San Antonio Behavioral Healthcare Hospital, there are registered nurses, mental health specialists, psychiatrists, and clinicians. A 24/7 medical help is available for all patients at the San Antonio Behavioral Healthcare Hospital.